Sad news reaches us from across the broad atlantic that the Oklahoma based celtic-punk band The Righs (pronounced ‘Rigz’) have decided to call it a day. 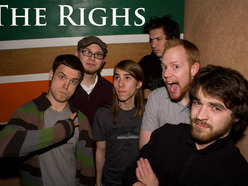 Originally known as The Rivers, The Righs played Oklahoma City for nearly a decade from late 2005 to early 2014. They were: Nate Williams- Vocals, Acoustic Guitar, Jack Smith- Electric Guitar, Banjo, John Slawson- Bass, Omid Nowrouzi- Mandolin, Trumpet, Jian Azimi- Fiddle, Ronnie Meyer- Drummer. 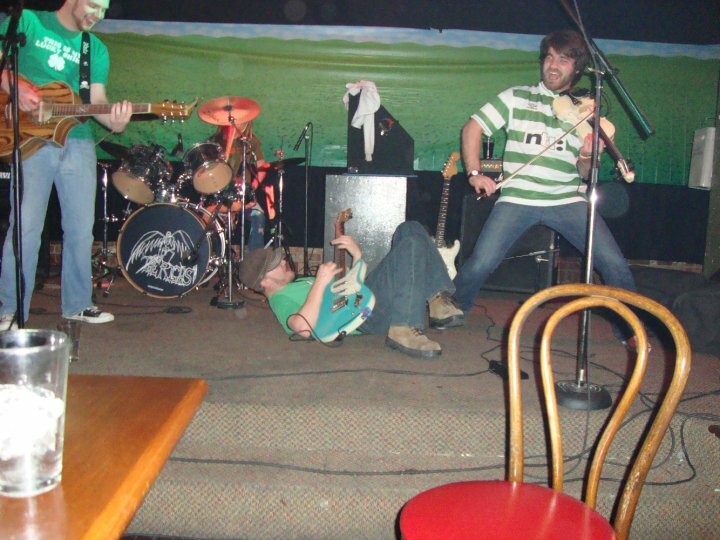 From the bands first ever show back in Christmas 2005 The Righs made a huge splash amongst punk, rock and folk fans across the whole of Oklahoma, Texas and Kansas. As is usual people immediately drew comparisons to either Flogging Molly or The Dropkick Murphys but The Righs, quite rightly took pride in having their very own definite unique sound. Drawing comparisons to all yer usual ‘wans’ as well as bands like Beirut, Neutral Milk Hotel and The Suicide Machines. 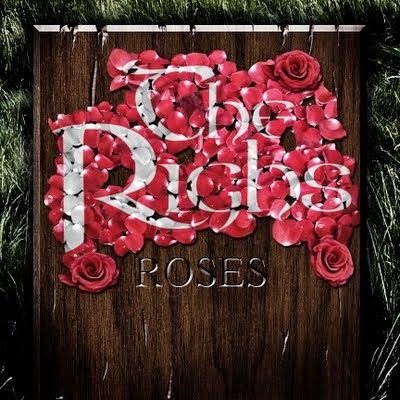 Recording for their second studio album, ‘Roses’, began in the summer of 2009. Produced at Green House Recording Studio in Moore, Oklahoma, owned by drummer David Johnson. Once again the album garnered great critical and commercial success. Seventy minutes long and 18 songs wide ‘Roses’ expands upon the diverse sound of the band while maturing that sound musically and lyrically. 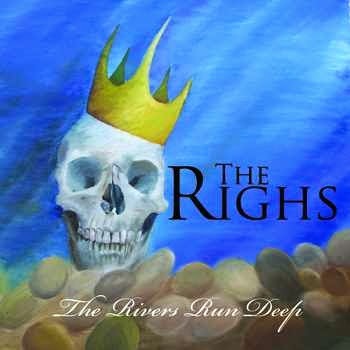 The album came out in January 2010 and the standout track, which is typical of The Righs sound, is album opener ‘Double Edged Sword’ a fast paced celtic-punk classic rallying against apathy in a country filled with ‘little lives of luxury’ that showcases all the various instruments that The Righs were famous for..
We’re sorry to break this news. Our show this Saturday at Belle Isle Brewery is going to be our last. We’ve discussed this matter and have realized that in the roughly eight and a half years since our first show, our lives, schedules, and interests have changed so much that continuing on as a band isn’t what’s best for us. It’s time for us to move on. We’ll be removing our recordings from paid sites such as iTunes and Amazon, but we’ll be making them available for free download at therighs.bandcamp.com. We’ll also release for download our recordings for what would have been our third album, Empty The Glass. We’d like to thank all the guys who’ve been part of The Righs over the years; Jian, Bryan, Rian, Kenny, Doyle, and Dave. We’d like to thank all of the venues who’ve had us play. Our first shows were at the now-defunct Racket Room in Edmond, OK. Over the years, we’ve played at great places like the Conservatory, VZD’s, Belle Isle Brewery, the Diamond Ballroom, the Opolis, the Red Brick Bar, Leon’s Lounge, the Vanguard in Tulsa, PJ’s Pub in Manhattan, KS, and the Lone Star Country Club in Coppell, TX, amongst many others. Thanks to all of them for having us. We had a blast working with you. We’d like to thank all the bands, local and touring, that we’ve shared the stage with. Bands like The Dead Armadillos, Dave McDaniel, Red City Radio, Sunny Side Up, Christophe Murdock, Thickwit, and Green Corn Revival help make this a great local scene. And being able to open for great touring bands like Reel Big Fish, Street Dogs, The Toasters, Peelander-Z, Flatfoot 56, Voodoo Glow Skulls, Jason and the Punknecks, Deals Gone Bad, and tons more has been fantastic. Thanks to Jeremy Ralstin, Dave Johnson, and Chris Harris, for their hard work in recording us. Most of all, thanks to all of you, everyone who’s come out to a show and for all of the support you’ve shown us over the years. We love all of you. Maybe some day The Righs will see the light of day again and, if we do, we hope to see you there. So plenty of free recordings hit the airwaves on the one hand but on the other we have the loss of one of the celtic-punk scenes greatest bands. 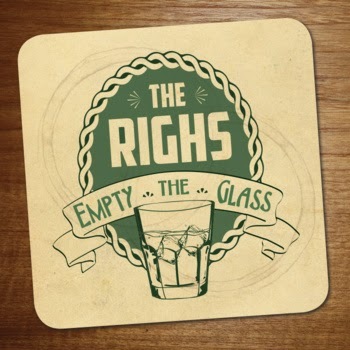 The Righs third and final studio album ‘Empty The Glass’ came out in April after the band had decided to call it a day. Produced and engineered by Jeremy Ralstin at SMC Studios in Oklahoma city. Ten songs with two covers and eight originals. The covers are the celtic-punk standard ‘I’ll Tell Me Ma’ and the Animals hit ‘House Of The Rising Sun’. Both are laced with trumpets and thrashing guitar and wild fiddling and switch from ska to celtic to punk with ease. The original songs follow much the same pattern of fast wildly energetic and exuberant modern celtic-punk that’s hard to pigeonhole within the scene but will be sorely missed. All the London Celtic Punks crew would like to thank and wish The Righs well for whatever the future holds for them. Good Luck bhoys and see you soon. Righ is a modern spelling of the Gaelic word Rí, which means ‘king’. there’s a grand interview with The Righs at Punk Is OK blog zine here in which all the boys take part.